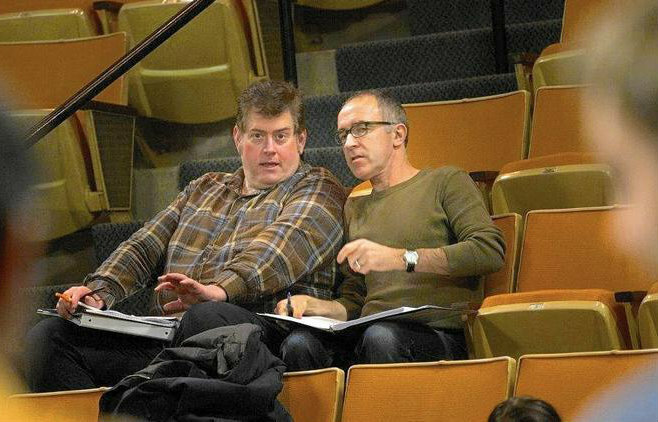 Chicago playwright Jamil Khoury will come to Naperville this week for two presentations focused on his recent composition, "Mosque Alert," which was inspired by a local case several years ago. Khoury, founding artistic director of the theater company Silk Road Rising, will show video clips from the powerful production, which premiered in February at Knox College in Galesburg, Illinois. Scheduled for 7 to 8:30 p.m. Wednesday at Nichols Library, 200 W. Jefferson Ave., and 7 to 8:30 p.m. Thursday at the 95th Street Library, 3015 Cedar Glade Drive, Khoury's appearances are intended to raise awareness of the fight to build mosques in communities and stimulate dialogue. Audience discussion is highly encouraged. The Irshad Learning Center faced opposition from neighbors in its effort to open an Islamic worship site on a three-acre site it owns on the north side of 75th Street east of Naper Boulevard, just over Naperville's border. Irshad's request for a conditional use permit was denied by the DuPage County Board in January 2010, but the decision was overturned on a federal appeal. Khoury's talks, funded by a grant from the Chicago Community Trust, will address questions of religious pluralism, Islamophobia and civil rights, drawing on local, national and international contexts. "Although there exists a stage version of 'Mosque Alert,' what we are presenting at the library is a 20-minute video play with the same name," Grant said. "The video, 'Mosque Alert,' will be screened and then used as a jumping-off point for the conversation with the attendees."